The CCM vocal quartet Avalon includes Jody McBrayer, Nikki Hassman, Janna Potter and Michael Passons. After debuting with a self-titled album in 1996, the group toured with Michael W. Smith, Twila Paris and Steven Curtis Chapman. The singles "Give It Up," "This Love" and "Picture Perfect World" all did well on the inspirational/adult contemporary charts, sparking the group's second album, 1997's A Maze of Grace. Hassman left the group and was replaced by Cherie Paliotta before Avalon returned to the studio to record the 1999 album In a Different Light. A combination of traditional and new holiday songs, Avalon's Christmas album Joy followed one year later. 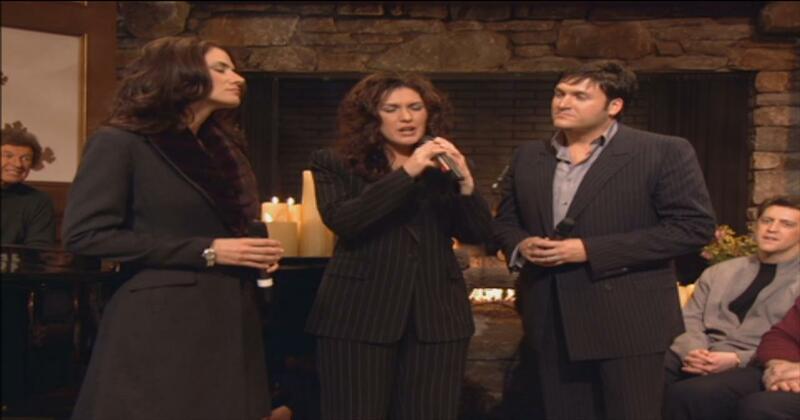 In 2002, Cherie Paliotta was replaced by Melissa Greene for the recording of new songs for their 2003 Very Best of Avalon release. Watch avalon music videos free online! Godtube.com also provides videos with avalon lyrics, singles, album information and reviews. Whether you're looking for an inspirational and encouraging song for your quiet time with God or an upbeat song to praise Jesus, Godtube.com offers the largest online database of Christian music artists!